Sometimes, the smallest books with the simplest of premises pack the biggest punches. 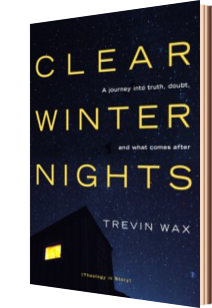 Such is my experience with Clear Winter Nights by Trevin Wax. When I received the book, I had no real idea what to expect. Is it a theological treatise? Nope, because those require at least 500 pages, right? (Clear Winter Nights has fewer than 150 smaller than usual pages.) Is it a guide to “Christian Living”? That would require a Table of Contents with catchy section and chapter titles. Closer inspection of the cover says this book is, “Theology in Story.” Hmmm…I still wasn’t sure what to expect. The story is of Chris Walker, a young man raised in the church. His past and future pointed to a life of faith as he and his fiancée prepared to help start a new church plant. But his faith is shaken and that “shakening” reverberated through different parts of his life. The book is centered on a weekend Chris spends with his grandfather, Gil, a retired pastor, with whom he wrestles with questions of faith and the role of Christianity and Christ in the world. Theological treatises take time to digest the nuggets of insight. Stories tend to flow faster, particularly when engaging dialogue is involved. This book, somehow, represents both. I copied down more than twenty quotes that I want to chew on some more. As each of these nuggets affected me, I couldn’t help but to immediately tweet some of them to share with friends. It’s the type of book that I can’t wait to share with friends, small group leaders and pastors. How does Biblical truth stand in a world that values open-mindedness? What’s the role of religion if not to make the world a better place? Why would anyone follow a worldview that seems to condemn natural temptations and lifestyles? Are Christians right to proselytize or evangelize? Or does that wrongly impose our view of God and our values onto their neighbors? And ultimately, what is the ultimate goal of a Christian life? I enthusiastically recommend this book to all who have an interest in this thing called Christianity. There will be those who have grown up in the church and relate to Chris Walker’s questions and struggles. 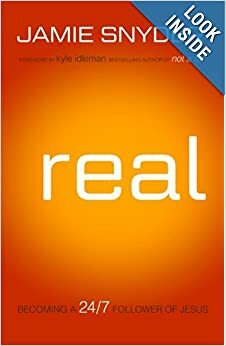 But just as much, this book will prove useful to those outside the church looking in waiting for some important questions to be answered before they consider putting a foot in the door. Though the book is not written in a traditional Bible study format, the discussion question will make this book useful for small group study.